TRANSPORT: Pickup and drop offered for most tours. CITY : New Delhi, Agra. TOURS : Custom food tours, cooking classes, tea tasting and other culinary activities in multiple cities. DESCRIPTION: Delhi Photo Tour specialises in photography walks, but they also offer food and photography tours which help the guests combine the best of both tours in a single package. 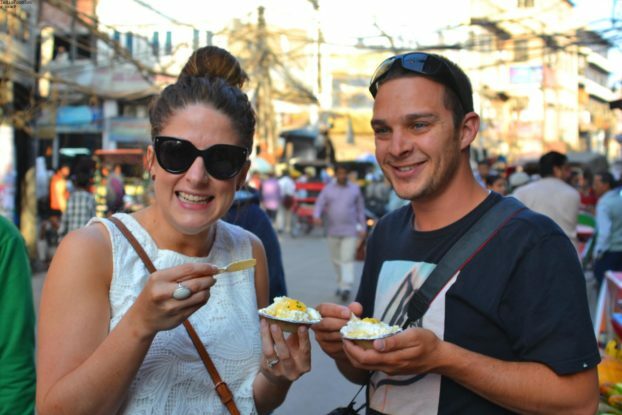 These Food & Photography tours are offered in New Delhi as well as Old Delhi and do a great job in helping the tourists take some great pictures as well as taste some authentic local food. CITY : New Delhi, Jaipur, Udaipur, Mumbai and various other cities in India. DESCRIPTION: India Food Tour provides multiple types of culinary travel options in India like short food walks, cooking classes, tea tasting, wine tasting, photo walks, heritage ours, farm visits and culinary travel packages which include some or all of these activities spread across multiple places in India. Most of these tours can be customized and are a good choice for tourists who want a good mixture of culinary exploration, off-beat travel as well as usual sightseeing. TOURS : Food walks, Heritage Walks, Photography walks, Cooking Demos. TRIPADVISOR RATING : Not available. TRANSPORT: Tours arranged from New Delhi and Agra. 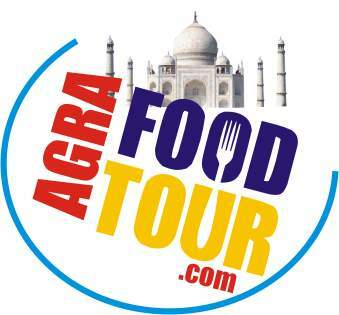 DESCRIPTION: Agra Food Tour arranges food walks, photography tours and heritage walks in Agra. Cooking classes in home of a local Indian family or a commercial kitchen are also arranged on request. Any of the above mentioned tours can be arranged as part of a day tour with pickup and drop in New Delhi. For some one in New Delhi short on time, it is a great way to see Taj Mahal and a few other historical places in the city. Female guides are available if needed. TRANSPORT: Pickup and drop from walled city area. 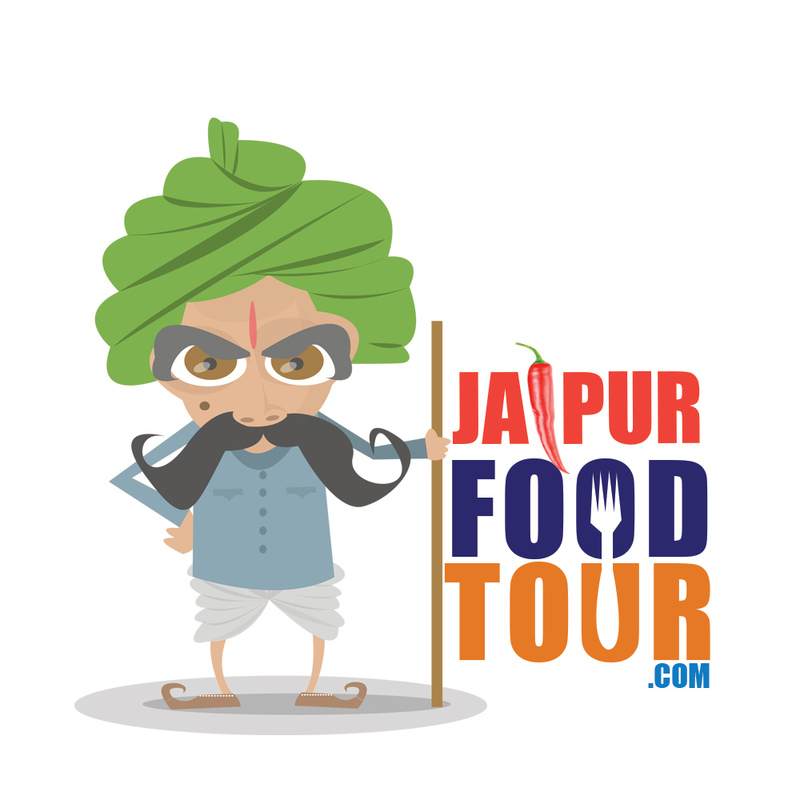 DESCRIPTION: Jaipur Food Tour offers food walks, photography tours and heritage walks in Jaipur city. Cooking classes in home of a local Indian family or a commercial kitchen are also arranged on request. 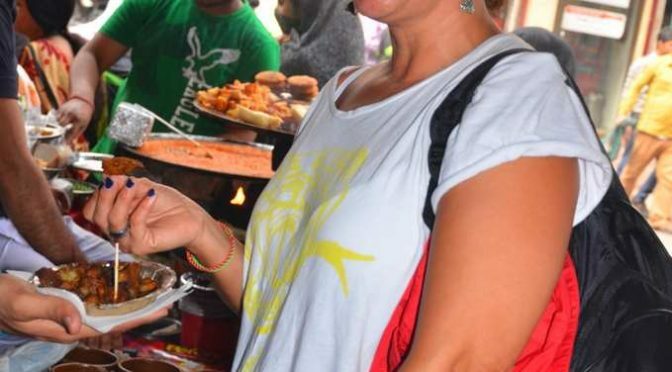 These food walks in Jaipur are mainly done inside the walled city and include sightseeing, visits to some interesting streets, markets and monuments along with food tasting.